View pictures carefully as they are the description. 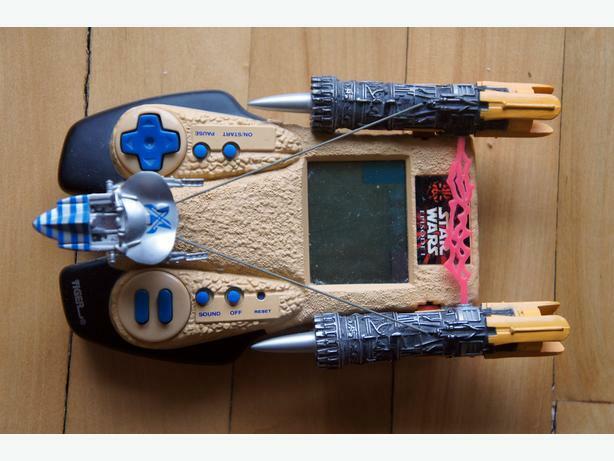 Handheld game requires 3 AA batteries(not included). Working condition. No instructions, batteries not included. If you are seeing this ad, the item is STILL AVAILABLE.